The Odyssey is, quite simply, the story of Odysseus, who wants to go home. But Poseidon, god of oceans, doesn't want him to make it back across the wine-dark sea to his wife, Penelope, son, Telemachus, and their high-roofed home at Ithaca. The story is told in easy-going, beautiful poetry; the characters speak naturally, the action happens briskly. Even the gods come across as real people, despite the divine powers they exercise constantly. 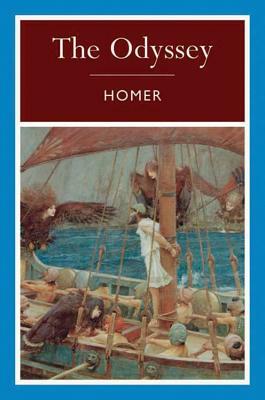 Not much is known about Homer, who was considered by the ancient Greeks to be the greatest epic poet for his works, The Iliad and The Odyssey, two poems that have had a lasting influence on Western literature.